I love Valentine’s day and crafts, of course, so I’d thought I’d compile some fun ones I’ve found around the web. Enjoy! 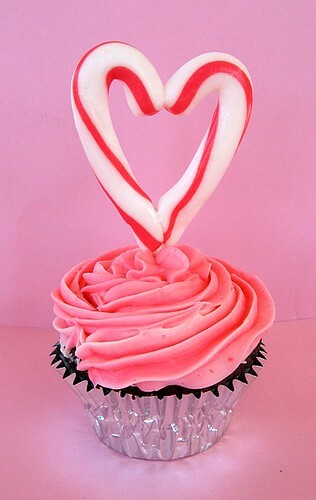 Candy Cane Heart tutorial from Skip to My Lou. A great way to use up those leftover candy canes from Christmas! 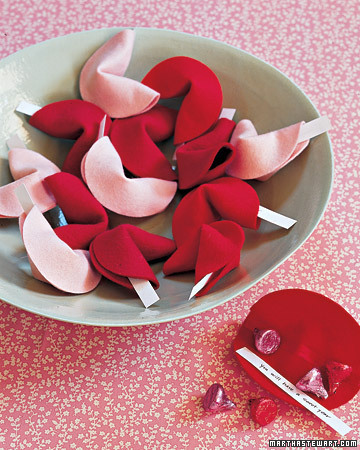 These pink and red felt fortune cookies via Martha Stewart are adorable! 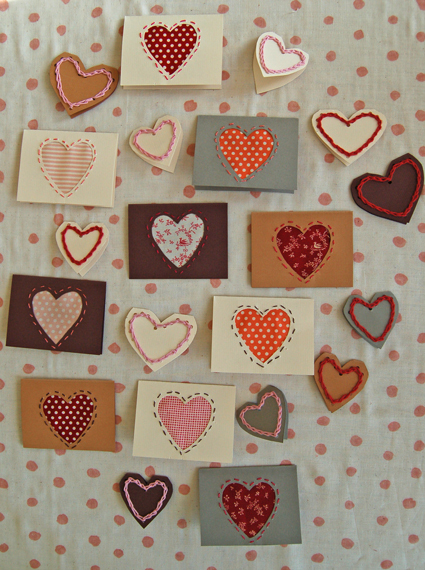 These Valentine’s from the Purl Bee are so sweet and simple. I HEART them! 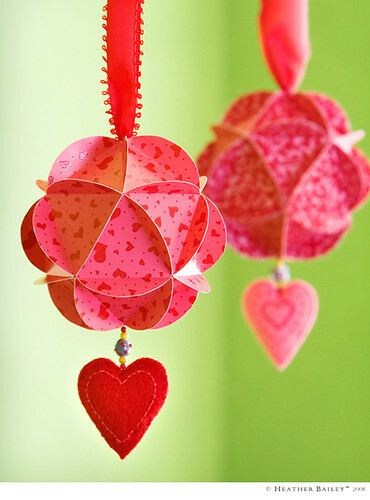 These paper ornaments by Heather Bailey are super sweet and swell as well. There’s a great tutorial for them on Craftzine’s site! 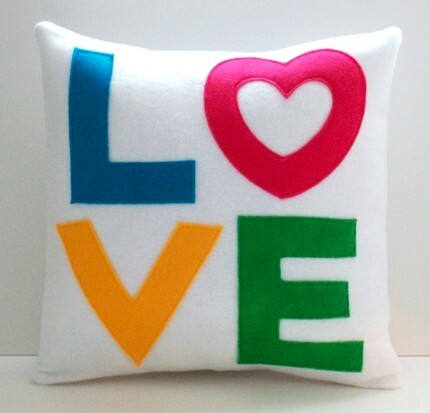 And this pillow based on the Love stamp is so flippin’ cute! It’s available to buy on MissMosh’s shop on Etsy. Hope you LOVE these ideas as much as I do! Until next time Swellions!